Nothing exciting as ORDER50 is more flexible with all payment methods. Captain, but how do you get free Swiggy accounts? there is nothing left for the old users now ? 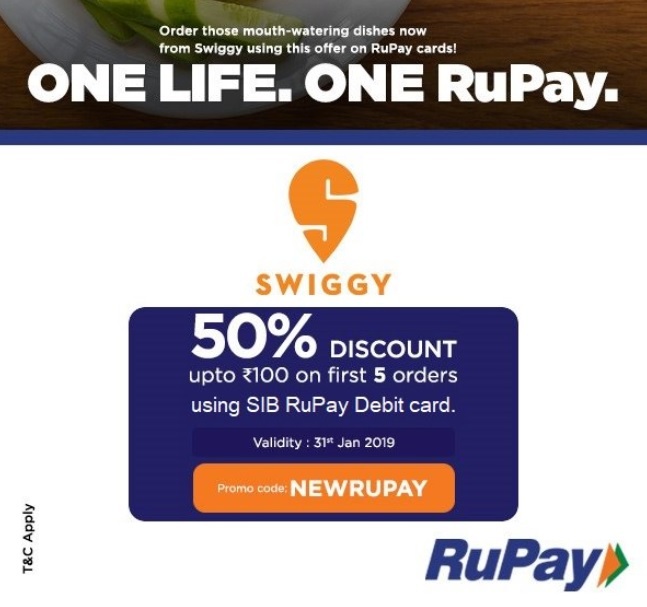 Just apply NEWRUPAY coupon on swiggy new users account & pay through RuPay card. If it is only for new accounts then selecting order50 is the way to go.. for rs100 discount.. or use FCHNEW-VGRHC5UX for rs125 discount..